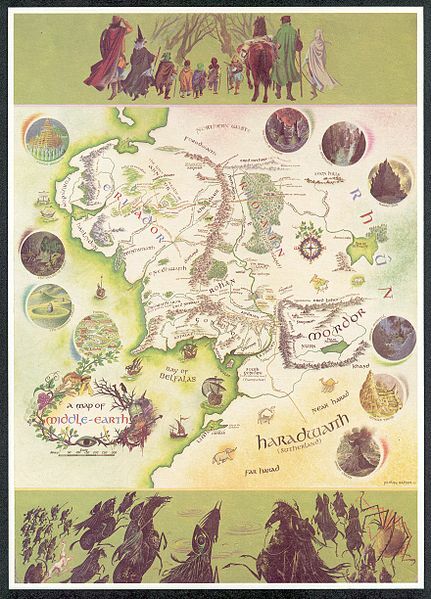 Pauline Baynes’ map poster of Middle-earth published in 1970 by George Allen & Unwin and Ballantine Books. Lately I have been ‘guru-ed’ to death on various different writers forums by a few indie authors, whose own work is a great deal less than stellar, harshly criticizing the quality of writing of everyone from J.R.R. Tolkien to Robert Jordan. Some people–I wonder, do they even read the comments they write? I am going to tell you straight up: Tolkien did NOT use too many words in The Hobbit, and the movie was not better. Tolkien was Professor of Anglo-Saxon Studies at Pembroke College, Oxford, he invented the elfin language and as such, we may be assured he had a moderately good grasp of the English language, and the literature of his time. He wrote in a lyrical style, with descriptions and side quests, things that enthralled avid readers like me who understood how to set aside a day to just to enjoy a good read. The movie, while it is awesome, exciting and great fun, bears some relation to the actual book but certainly does not chronicle it. In the book for starters, Legolas was not a character, he did not have a love interest, and neither did Kili. If you read the credits at the end of the movie, you will see it clearly says “BASED ON” the book, The Hobbit by J.R.R. Tolkien. The problem with the book is not in Tolkien’s writing. It is in the eye of the beholder who never learned patience, or appreciation of a well-told story. Fortunately, we now have an emerging generation of young women who consider “Pride and Prejudice” to be their favorite book of all time, and this gives me hope. Pride and Prejudice is about manners, yes–but it is also about that intrinsic thing all great novels consider, the search for self, and underneath the trappings of fantasy, the elves and goblins, so is the Hobbit. That quest to discover who we are and what we are capable of is what drives Bilbo to keep going, even in the face of terrible events. I have hope that if Jane Austen’s work is once again considered to be popular reading among young people, then the love of a beautifully crafted tale will never entirely disappear and the true appreciation of Tolkien’s great works will once again be celebrated. What I frequently see in these forums see is an aggressive type of person who criticizes but lacks an understanding of what he/she is ranting about. They claim to be in writing groups, but if they are, I feel sorry for their fellow writers. These people are the carrion-eaters, the ones who will pick an author’s work to the bone, and casually dismiss it, destroying a fellow authors sense of self-worth. What a person who writes fantasy needs to know is what the masters of the genre wrote, and what made their work classics. In other words, stop looking AT the words as disparate parts that you could write better, and read them in context. You might be surprised at what you will find! Even Tolkien had inspiration for his works, and he freely admitted he was a great devotee of the work of William Morris, an English textile designer, artist, writer, and socialist associated with the Pre-Raphaelite Brotherhood and English Arts and Crafts Movement. He loved Morris’s prose and poetry romances. 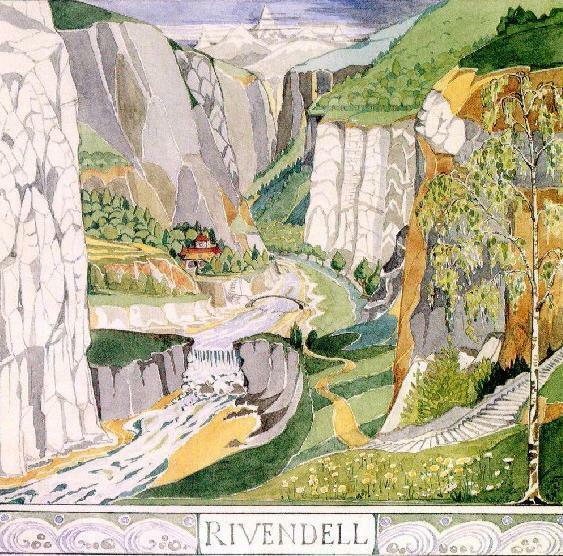 Tolkien’s own work follows the general style and approach of Morris’s work. The Desolation of Smaug as portraying dragons as detrimental to landscape, has been noted as an explicit motif borrowed from Morris, just as countless fantasy authors borrow the modern concept of Orcs, Elves, and many other high fantasy motifs from Tolkien. The modern image and mythology of the elf as he is written into most of today’s fantasy has been directly modeled on the elves of Tolkien’s Rivendell, whether the author knows it or not. Even the elves we find in the onslaught of urban-fantasy-romances are created in Tolkien’s image. So, now that I’ve had my rant about internet writer’s forums and the bad apples who occasionally haunt them, you’re probably wondering what I find that is good out there? A great deal more good than bad, actually. 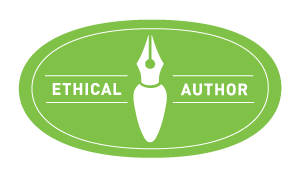 There are an incredible number of people who are willing to be helpful to aspiring authors, and who regularly share good information. The following is a list of good forums you might want to look into. I’ve had a lot of fun on these forums and I learned a great deal. I never respond to Trolls, because acknowledging them encourages them to think they have power. How you handle them is up to you. Do your homework, research the great literature of your genre and write because you love it. Ah! like gold fall the leaves in the wind, long years numberless as the wings of trees! The beginning of the Quenya poem Namárië written in tengwar and in Latin script, by J.R.R. Tolkien. As I’ve mentioned before, I have a special relationship with The Hobbit. I think the discovery of someone who writes off Tolkien would basically be like getting the cliff notes to the entire person, don’t you think? To sum it up, not a whole lot of interesting thought going on inside. well said, Connie! The Hobbit was my favorite book growing up. Thank you Johanna and Alison – I see we think alike! What a great rant, Connie! 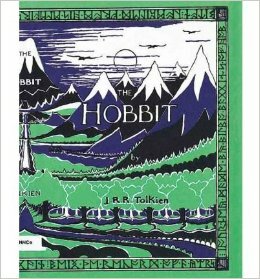 I know that by today’s popular writing styles, Tolkein is ‘old-fashioned’, but I can remember getting lost for hours in his prose and songs and poems, and down those little side alleys of stories that didn’t really ‘move the plot forward’ (as we are constantly exhorted to ensure we do these days). In no way should that be used to write off Tolkein’s mastery of language; the novel was of a different structure for a different age, and yet we can still learn so much from it. I’m delighted to hear, then, that Pride and Prejudice is regaining popularity – perhaps there is yet hope that we will see a continuing range of writing styles (especially as we are no longer obliged to conform to the gatekeepers of traditional publishers) instead of everything cut to the bone with bite-sized sentences and pace being the main driver. Not to say that I don’t like (and in fact also write) such work, but it can only be good to preserve a range of styles, surely? William Morris (that version whose cover you display) takes me back to fantasyhood. 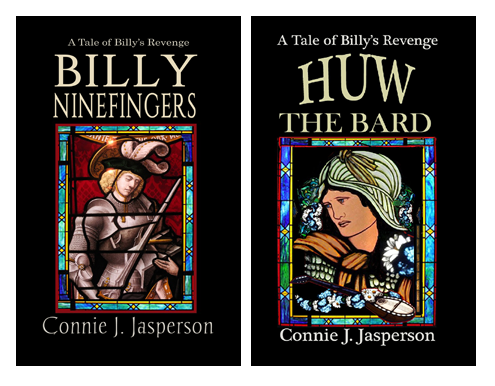 I did a lot of riffing on those tropes before giving up writing a true fantasy novel. I’m sure, however, much of his work continues to subconsciously influence my own. Exactly, Deborah – his father, Tharanduil is mentioned, but Legolas first appears in the Lord of the Ring’s trilogy. I like what Peter Jackson is doing with his movies, and quite honestly am enjoying the differences. @Stephen – that is the cover of 1970 edition of the first half of the story, which was popular with my friends in college. Ballantine released it as two volumes in their adult fantasy series. This makes me think of the book I was given by a friend. She was having a difficult time reading it because it was written in the early 1900s.